We now offer a really unique deal on credit repair, it is much better, we call it "Pay per deletions." Working with us you will pay only for good results. 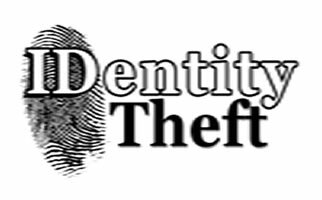 Identity Theft is a crime in which somebody obtains pieces of your personal identifying information such as your Social Security number, name and address, or driver's license number and then uses them for their own personal gain. This is called ID Theft. It can initiate with lost or stolen wallets, pilfered mail, a data breach, computer virus, phishing, a scam, or paper documents thrown out by you or a business (dumpster diving). This crime varies widely and can include check fraud, credit card fraud, financial identity theft, criminal identity theft, governmental identity theft and identity fraud. Usually the victim ends up with several collections and unpaid accounts reported to the credit bureaus, with credit ratings completely trashed. This type of crime is on the rise. An identity fraud study, conducted by Javelin Strategy & Research, found that $16 billion was stolen from 15.4 million U.S. consumers in 2016, compared with $15.3 billion and 13.1 million victims a year earlier. In the past six years identity thieves have stolen over $107 billion. Resolution times vary per case (time it takes for you, the victim, to repair all the damage) but can take up to hundreds of hours to rectify. If you are a victim, never under any circumstances make a payment on an fraudulent account. If you do you are admitting that you are liable for the debt. Filing an identity theft police report is the first step you should take. If you decide to use our ID Theft Resolution service, we will need the police report to get started. If you decide to deal with the fraud departments at the Credit Bureaus, banks and credit card companies on your own, you will need this report to validate and document that you are a victim of identity theft. Many of the fraud departments you will have to contact will ask for a copy of this report. • A 7-year Fraud Alert in all 3 Credit Bureaus. • A free Credit Freeze in states that have passed that legislation. • Have inaccurate or fraudulent information permanently blocked from your credit report . You file a police report in the city/state where you live, even if the crime was committed in other cities/states and there are multiple jurisdictions. This type of report is called an initial incident report. If the crime was committed in another jurisdiction you can request your local law enforcement to forward your police report to that jurisdiction for investigation. You will need to obtain a copy of your police report. It may take up to 10 to 14 business days before you receive your police report. An incident report number will not suffice. You will need a physical copy of the report. You will want to make copies of this report to send to the various companies and agencies to clear your name. You can keep the original copy for your records. You may amend your police report to reflect any new information you obtain related to your case. Being a victim of Identity Theft may be very frustrating if you do not know your way around the different fraud departments. They have different mechanisms in place to detect false claims and they will push you as much as legally possible into making payments. BCR Consulting can clear your reports of any fraudulent accounts, notify and follow up with all the creditors and collection agencies reporting fraudulent accounts. By law, after a proper notice is served upon them, they must cease and desist collection efforts and release you of any further liability. Also, the Credit Bureaus will block those account numbers so no one can ever report them again.